Let’s face it, cities are exhausting. High rise buildings, people, flashing lights, traffic, people, crossing the street, prices are higher and the environment is way more intense. As someone who’s lived in London for over 5 years, it’s always a relief to get to the countryside or the beach for the fresh air and chilled vibes. As the bus drove across a number of Kuala Lumpur flyovers, my eyes were in awe of the lights, traffic and business surrounding me. A few weeks at the beach will do that to you, despite prior experiences. As the Grab (Asia’s version of Uber), turned a corner towards the hostel, Butik Bintang (the area we were staying in) was alive with street food, music, people and shops – it was 12.30am. What a change from the peaceful beaches of the Perhentian Islands and the fresh air in the Cameron Highlands. Despite all this chaos, over the three days I spent in this big city, I still found some peace amongst the chaos. Here’s my fave things to do to have a few moments of chill, despite all the action. 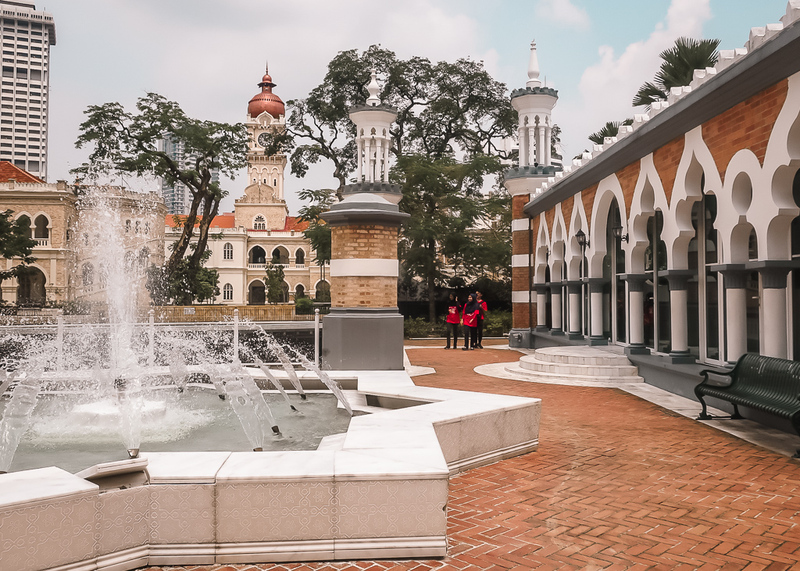 Visiting KL’s diverse range of religious sites – Chinese temples (visit Sin Sze Si Ya or Thean Hou Temples), a mosque (Masjid Jamek Kuala Lumpur) in the heart of the city and with Hinduism (visit Sri Mahammariamman Temple) prominent too there’s no shortage of intricate architecture within these religious sites. Wander around and take time to remove your shoes, smell the incense and observe locals praying in these hidden calm spots across the city. 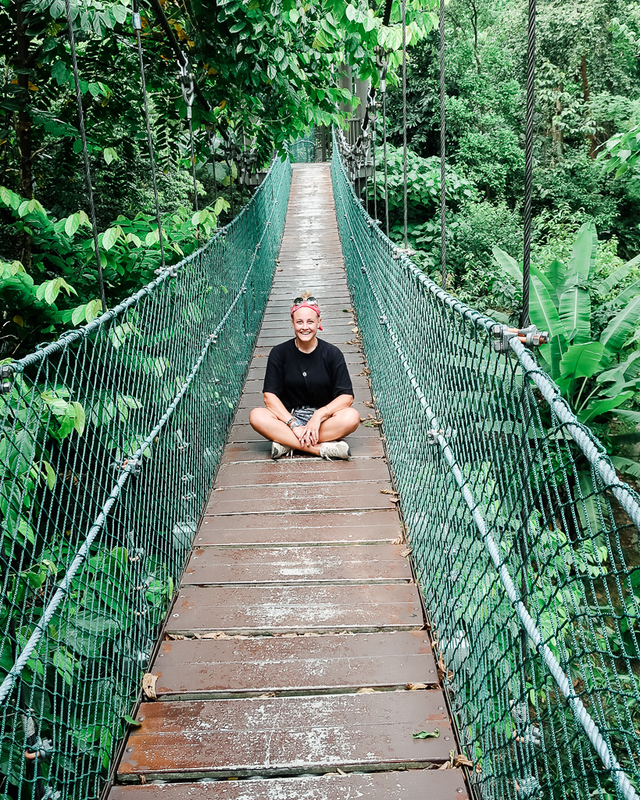 Wander the canopies and explore KL’s eco park – bidded as the cities “green lung” the eco park is one of the oldest permanent forests in Malaysia positioned strategically in the heart of KL surrounded by buildings but in the perfect spot for ecotourism. Find peace at the Botanical Gardens – hands up I can admit I didn’t make it here but I have it on very good word from my travel pals that this too is a great way to escape the city chaos. Tree-lined walkways, flowers and plants including orchids, herbs and spices, hibiscus and many exotic species are offer for your peaceful enjoyment. Gutted I didn’t make it – next time for sure. 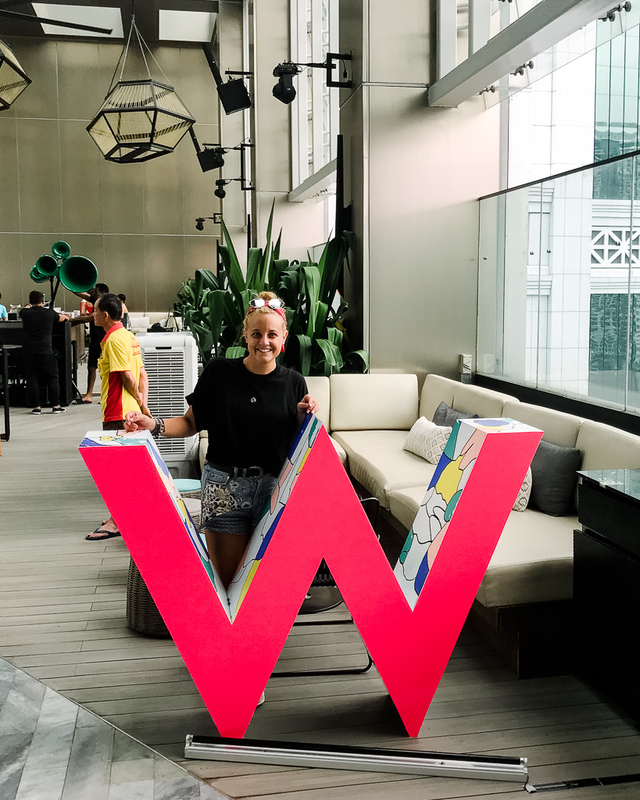 Views across the city at W hotel – ok so there’s places to visit for a view of the Petronas Towers and of course you can go up them too but how about a cheeky beer next to a pool within (what seems like) touching distance to the towers. Not cheap to buy drinks but for one small beer (around RM 27, £5ish) you can take in the view, dip in the pool and honestly feel like you’re on top of the world. Worth the ringgit if you can spare it and the perfect treat for the end of a trip in KL (which is what we did before the bus)! 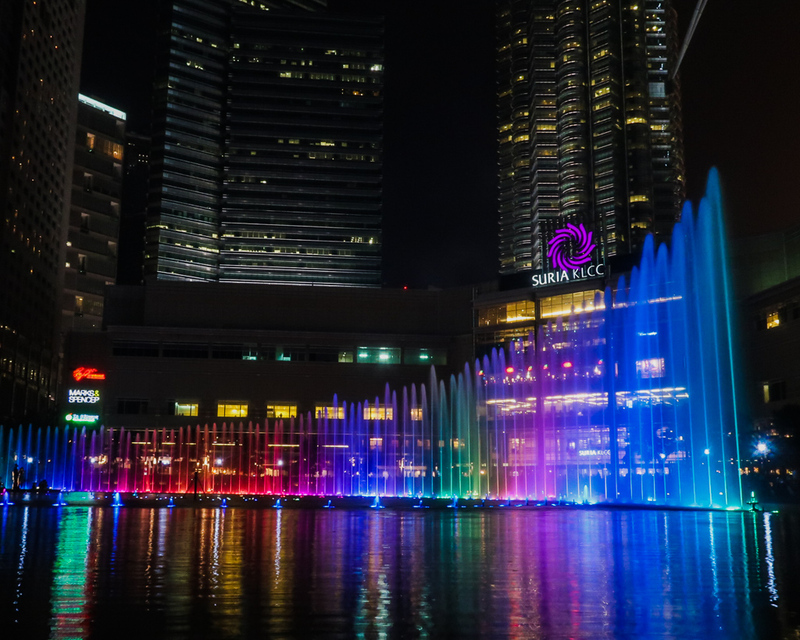 Watch the light show – seems like a random one, but sat in KLCC Park over looking the Petronas Towers and enjoying the colours, music and range of water activities during the light shows from 8pm was pretty chill. Beware however that part of town is pretty pricey, (it’s a bit like Canary Wharf), and we couldn’t find a 7/11 for a snack either haha. Of course the fun of cities is being busy and having those one of kind exciting experiences, but sometimes you need to chill. Check out other things to do in the city here – love the Crazy Tourist Guides, they’re really handy. Where else do you do to relax in vibrant cities like KL? What to pack for South America?